A new class of carbides containing five different metallic elements are predicted to be among the hardest materials with the highest melting points. 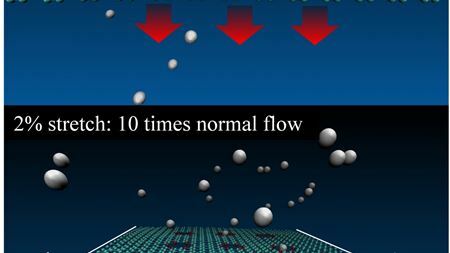 New simulations suggest that modifying graphene with oxygen-lined pores will allow it to act as a tunable filter for ions in a liquid. Researchers have found that the 2D material known as MXene could be a good candidate for removing urea from blood in portable dialysis devices. By adding carbon and nitrogen to manganese, researchers have developed a fuel cell catalyst that is just as effective as platinum but much cheaper.